Farmall A, B, C, H, M, CUB, W4, W6 headlight assembly and headlight parts. 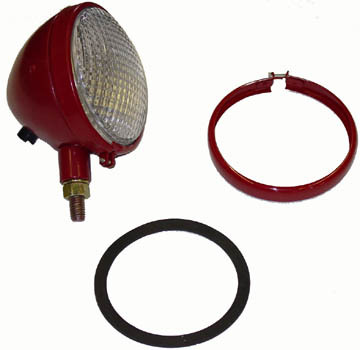 These lights are a high quality reproduction of the 5" guide light used on John Deere, Farmall, and Allis Chalmers tractors. All parts interchange with the original light.